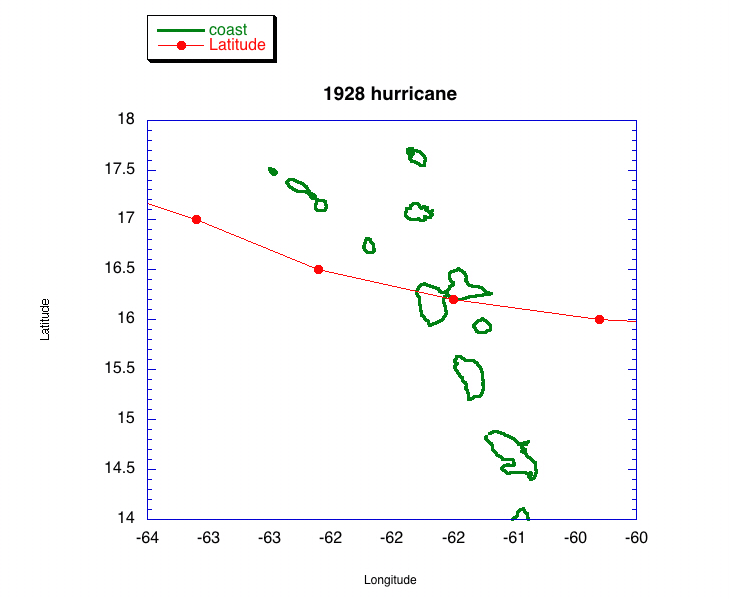 On September 12, 1928 a major Cape Verde hurricane struck the Leeward Islands. The amount of warning time varied by island, but Guadeloupe apparently received no advanced warning and the unprepared island suffered 1200 deaths. The total for other nearby islands was less than fifty. Map analysis of San Felipe Segundo hurricane striking Puerto Rico. The storm moved northwestward and in three days it struck an ill-prepared Palm Beach, FL. 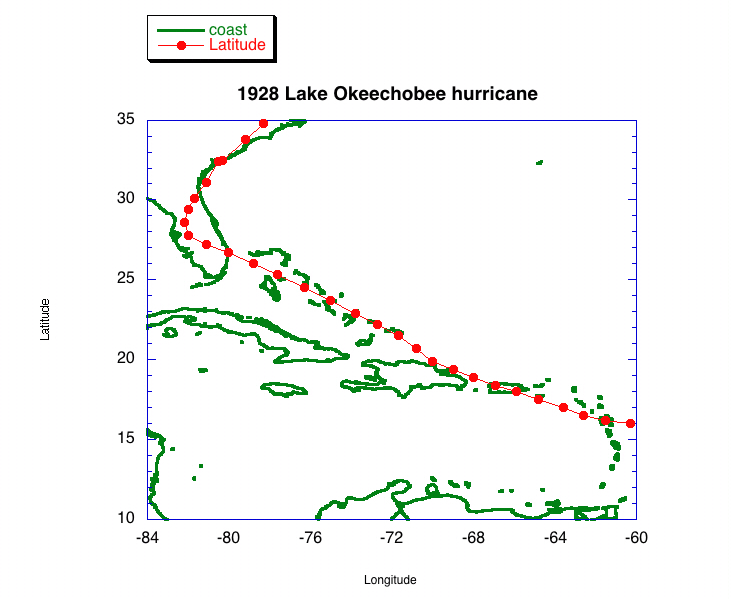 The hurricane moved over Lake Okeechobee and caused the earthen dykes around the Lake to fail. The resulting flood caused over 1800 deaths. The actual figure will never be known as many were undocumented agricultural workers and the bodies were disposed of either in mass graves or massive funeral pyres.